An impressive piece of solid oak English furniture. 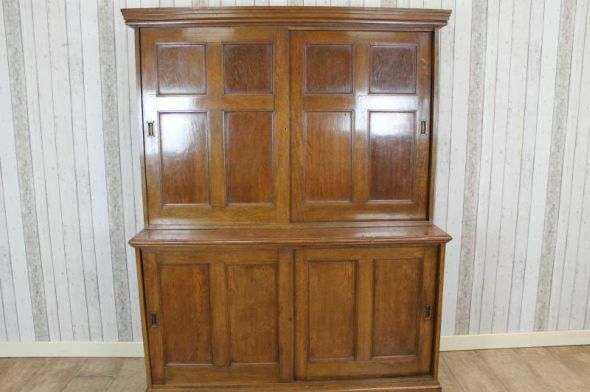 This large sliding door oak bookcase/filing cabinet features a panelled front and sides. The doors conveniently slide from side to side giving easy access to the internal storage. The piece is in outstanding condition for its age, and could easily be used in a large study, kitchen or living room. It breaks down into two separate sections for ease of transportation and reassembly.